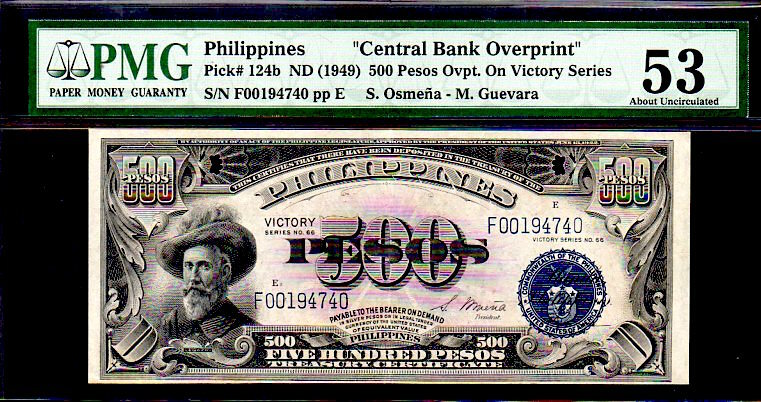 PHILIPPINES P124b 500 PESOS 1949 PMG 53 FINEST KNOWN PMG-ONLY 5 KN!!! 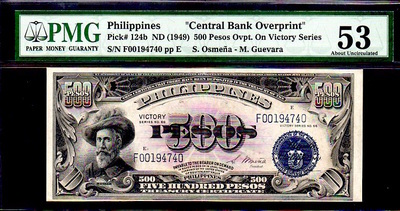 LEGAZPI “VICTORY SERIES” This note is the nicest I’ve seen and evidently the same goes for both grading co’s, as this is the FINEST KNOWN (EVEN AFTER 16 YEARS!). The HIGHEST DENOMINATION ALSO!!! This piece has the best centering I’ve ever seen, normally cut close to the top or bottom margins. The paper is nice and white, no toning! I purchased this piece right out of the Philippines about 5 years ago and still after all this time, it’s still the FINEST KNOWN!!! Miguel Lopez de Legazpi (1502 – 1572) was a Spanish Navigator and governor who established the very First Spanish Settlement in the East Indies, when his expedition crossed the Pacific Ocean from Viceroyalty of New Spain to modern day Mexico. 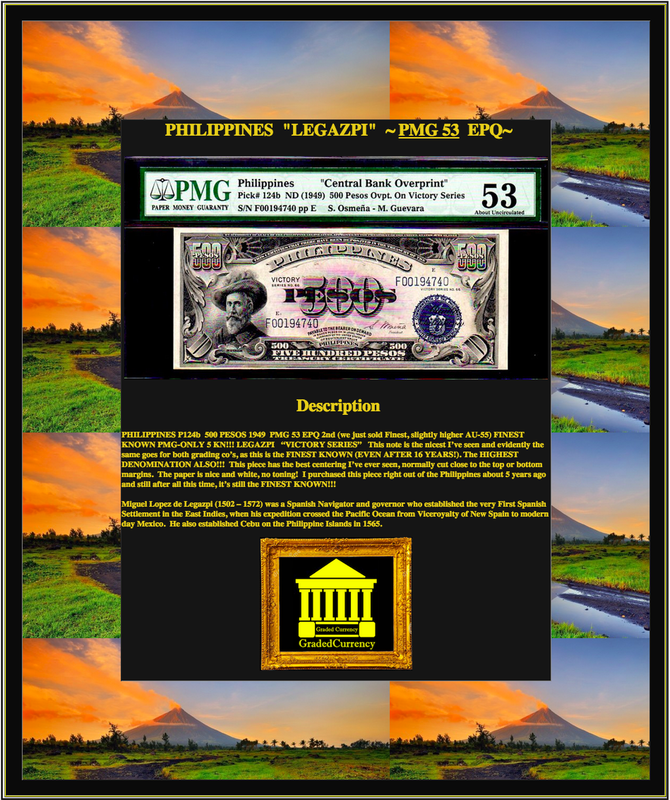 He also established Cebu on the Philippine Islands in 1565.